A dog loves to walk loose. At some moments it is useful if your dog is wearing a dog collar to correct the dog when necessary. 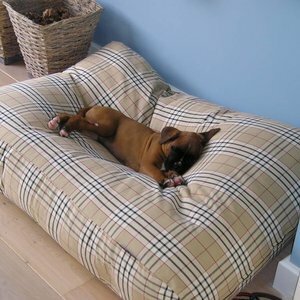 In addition, of course you want the very best for your dog. A good quality necklace should not be missing. 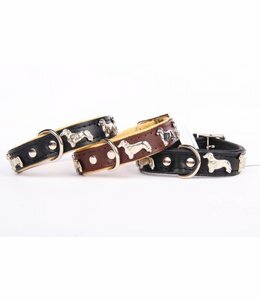 We sell different types of leather dog necklaces that you can find on this page. Our leather collars are all made of soft Italian Nappa leather. The dog straps look beautiful and are a handy item to control your dog. Thanks to the beautiful Italian nappa leather, your collar is an accessory for everyday use. 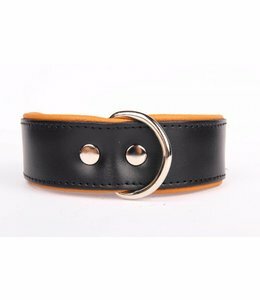 This leather collar is easy to use and handy for you and your dog. 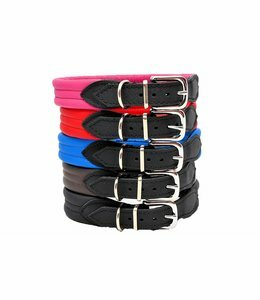 What size do you need for a dog collar? 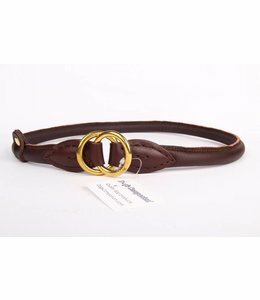 When buying a leather collar it is important to know which circumference the dog collar should have. A dog collar should be comfortable. 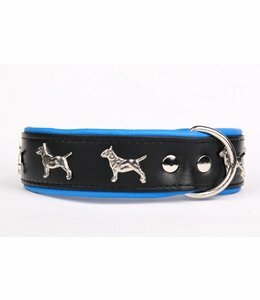 Leather is a popular material that is also very comfortable to the dog neck. The neck strap that you buy must have enough play around the neck of your dog. Think of one to one and a half centimetres (two fingers next to each other). Also make sure that the neck strap is wide enough to prevent it from' cutting' in the neck of your dog. Because of this space your dog does not experience the dog's collar as a burden and the collar is comfortable. When your dog loosens he has the chance of having a good life. Mud, rain and sand can cause the standard dog neck strap to discolour. This is not very pleasant to the eye, of course, and therefore you want to buy a good quality necklace. 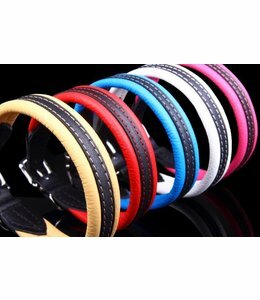 A leather dog collar is suitable to prevent discolouration. 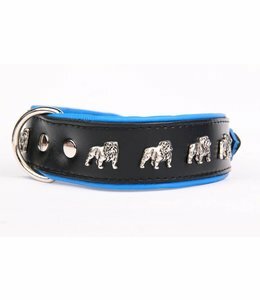 In addition, a leather dog collar is experienced as pleasant by dogs. The collar is adjustable through the holes. The beginning of the pin from the buckle to the last hole is the maximum adjustable length. 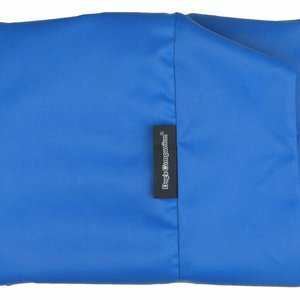 Of course you want the best materials for your dog. 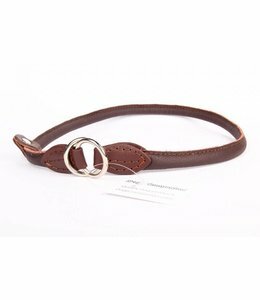 A leather dog collar should not be missing. 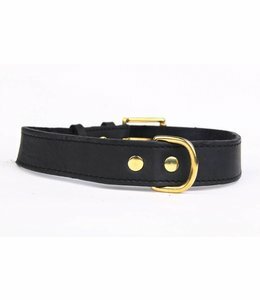 Because the collar is made of leather the dog experiences no nuisance to the collar. It does not irritate the skin of the dog so he does not have to scratch continuously. In addition, a leather collar looks well cared for and beautiful. A leather collar should not only be functional but should also look nice. After all, the eye also wants something. DogsCompanion. 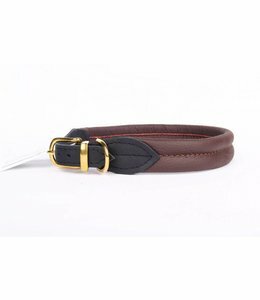 com has therefore put together a collection of leather collars of beautiful Italian nappa leather. 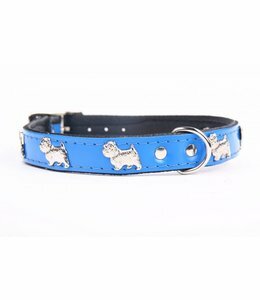 The collars are available in different colors and lengths. 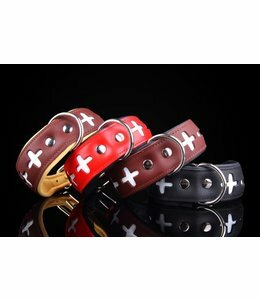 For every dog a beautiful collar can be found that can also be combined with a leather dog belt. Our leather collars are all handmade. 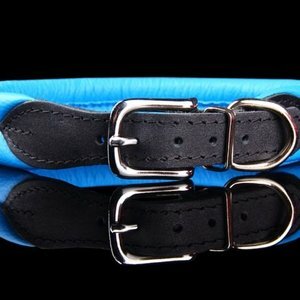 The collars that are not in stock can be ordered from DogsCompanion.com. However, here is a delivery time of up to 28 days. If your desired length or colour is not available on our site, please let us know. We can then see if we can still get there. 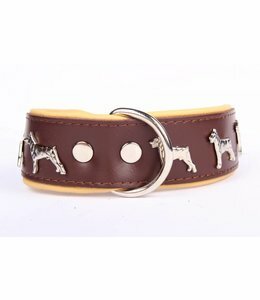 Highest quality handmade leather dogs collar with Bull terriers. Made of soft Italian nappa leather.